It’s Easy to Advertise Online with RheaReview.com!! Online is the fastest growing, most dynamic and least expensive way to advertise your business, product or service. Having a website is impressive to customers and lets them know you are up to date. RheaReview.com is the best platform in the area to gain exposure for your organization. The cost for advertising in RheaReview.com for a month is about the same as one day in a print newspaper. Your ad stays on the screen seven days a week, 24 hours a day. And we can tell you exactly how many of our readers are clicking onto your website from RheaReview.com as well as the number of impressions (when it is on a screen that a reader is on). Your ad will automatically click to your website, or to a page we can make up for you with your text and pictures. 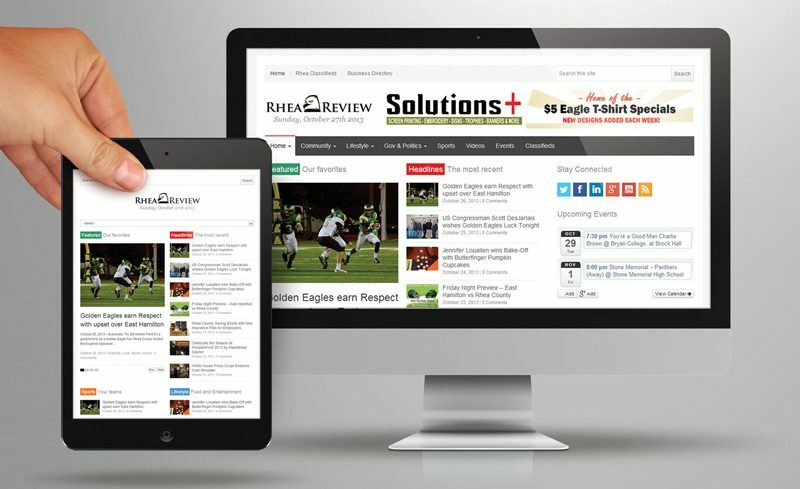 RheaReview.com is uniquely designed with a responsive design to ensure the content displays properly on any device – desktop, tablet, or mobile (smartphone). Your advertisement will look great 24-7 on any device. The optimized user experience will give you optimum results for your advertisement. RheaReview.com is FREE to all readers. There is no “paywall” or “teasers” that greatly limit the number of potential readers seeing your advertisement. Some advertisers provide their own banner ads, or we can provide a design for your ad at no extra charge. Our design team will work with you to ensure your advertisement represents you well. We will email you the design and let you approve it before it is posted. We have monthly advertising rates, but remember that repetition is the key to advertising effectiveness, so we encourage our advertisers to keep their ad on for an extended time. Just one month may not be effective in any advertising medium. There is a discount for paying a year in advance. You will gain maximum exposure with our Premier Sponsorship. The package is $500 a month and includes a leaderboard ad which will properly display at the top of the page (regardless of the device). We will create up to 4 versions of your ad to accommodate different views such as desktop, tablets, or mobile devices. There will be a limit of 4 premier sponsors at a time to ensure maximum exposure for your advertising campaign. 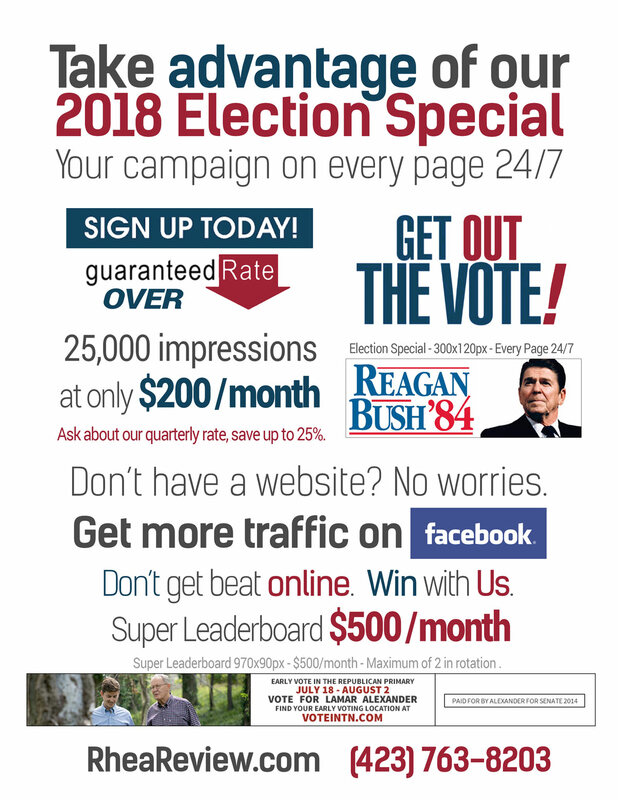 Standard Sponsorship package costs $300/month and includes a 300×250-pixel sidebar banner (above the fold) and another position (below the fold) throughout the site. This package is ideal for small businesses, organizations, and political campaigns. If you are interested in advertising on RheaReview.com, please email Elmer Harris at editor@rheareview.com.